How Did NATO Straps Get Their Name? The colourful and convenient NATO strap is now commonplace, sometimes even doubling up as a fashion accessory. We unravel the origins of this legendary canvas band. NATO straps have grown, and grown, in popularity. Not just amongst military watch geeks; NATO straps are now sold by clothing retailers and sometimes worn as bracelets sans watch (oh the horror). Watch brands have picked up on this and are generously offering canvas bands along with their watches, the Tudor Heritage Chrono Blue and Blancpain Bathyscaphe being two recent examples. 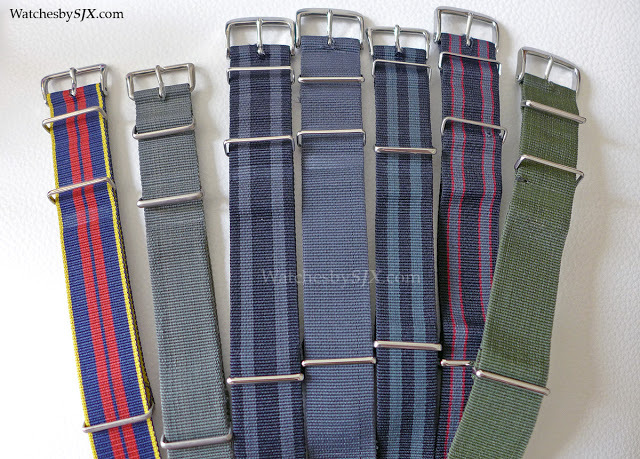 One-piece straps for military watches which loop under the watch case have been around for a long time. Such fabric straps were used by both the US and British forces (giving rise to the nickname RAF strap, for the Royal Air Force), and were first used in the mid-twentieth century, maybe even earlier. But the two-piece strap now known as the NATO dates to the British MOD Def Stan 66-15 of 30 November 1973 (a slightly later addition to 66-15 is for a leather and canvas two-part band). 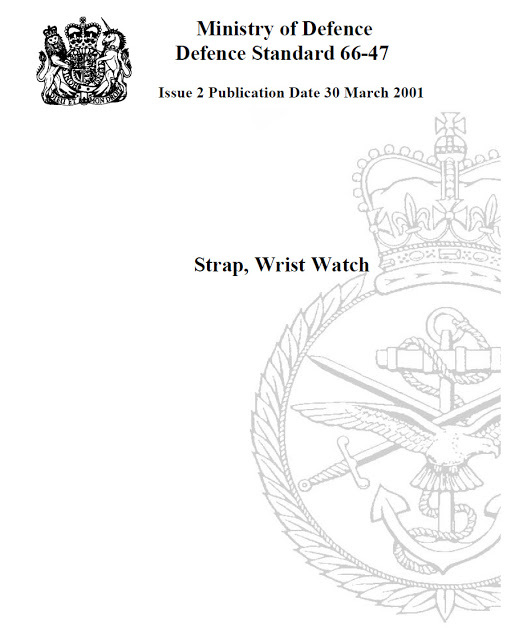 Since superseded by Defence Standard (Def Stan) 66-47 of 2001, this Ministry of Defence (MOD) Def Stan outlined the “requirements for the wrist watch strap to be used by the Ministry of Defence (MOD).” This document was intended for manufacturers who wished to tender for or were awarded contracts to make such watch straps. Though the Def Stan does not explain, the reason for heat-welding, instead of stitching, is that welded nylon is less prone to coming apart. So any canvas band which is stitched instead of welded does not conform to the original standards. And the original purpose of having the strap loop under the watch is to ensure the watch does not fall off the wrist, even if one spring bar breaks. 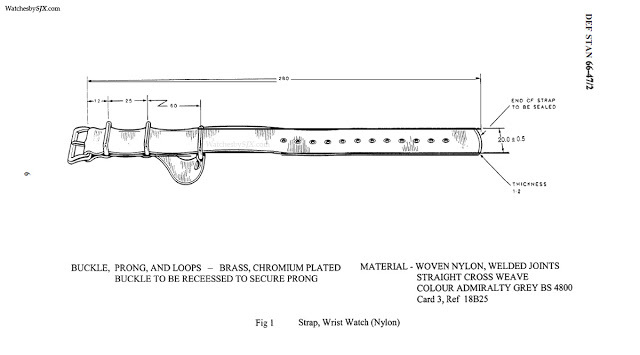 Because of the strap construction, the watch will remained secured by a single bar, albeit hanging precariously. With a conventional watch strap, a broken spring bar means a quick trip to the floor for the watch. As the Def Stan specifies, the military issue NATO is Admiralty Grey, though numerous other colours have been made. The colourful striped versions are known as Regimental straps, because they are make for particular regiments according to their unit colours. Inspired by the NATO strap and a key element of Tudor's emblematic Heritage watches, the fabric bands offered with Tudor's watches are not just a colourful accessory, but the products of traditional weaving techniques on Jacquard loom operated by hand.